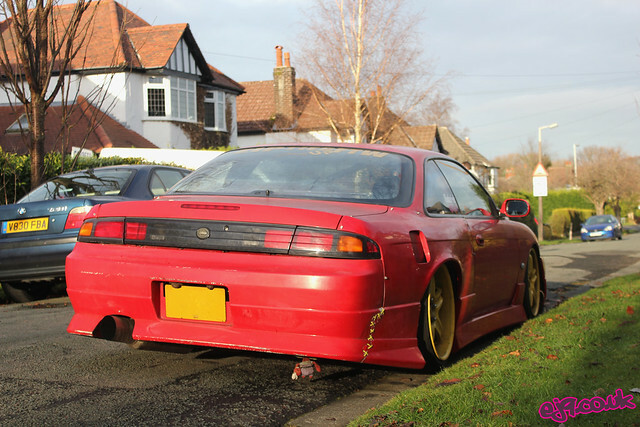 The number of high-spec drift cars based within 20 miles or so of my house is pretty impressive, and I’m glad to say that this figure is ever-increasing. Saule lives down the road from myself and has always been there to help out when the going gets tough (which it has on numerous occasions) and, after spending so much time helping all of us fix our broken S-bodies, he’s decided to join in the fun. 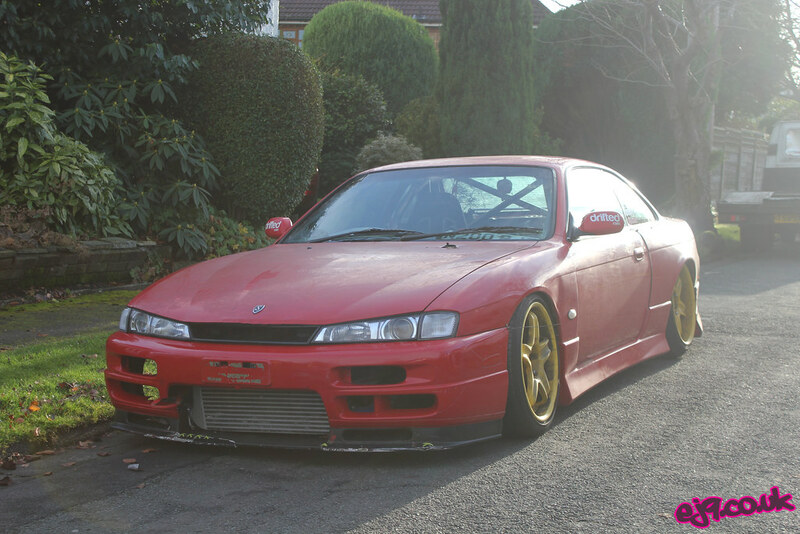 He picked up this S14 (note the 14a front end conversion) the other day for an absolute steal from an owner you hadn’t the time for it anymore. 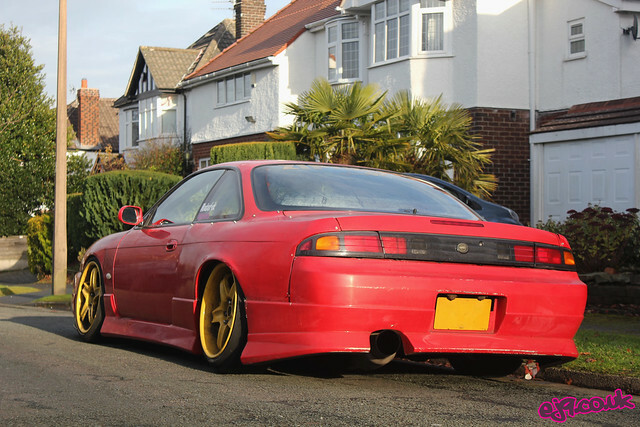 Having not been taxed and tested for the last two years a few jobs needed doing to get it road legal again but it was nothing too serious. The spec isn’t to be sniffed at either, with Apex coilovers, 18×10 Volk GT-C wheels, Fabricage roll cage and Holset HX30 turbo being the main attractions, the latter helping to contribute to the dyno-proven 350bhp output from the SR20 engine when it was last mapped by Greg Gush at Protuner. There are still a few jobs that need doing (starting with the hideous rear arch gap situation that’s going on!) but I can’t wait to see this thing tearing up the track at Anglesy in a few months time.